1. Avetisov S.E. Oftal'mologiya. Natsional'noe rukovodstvo [Ophthalmology. National Guideline]. Moscow: GEOTAR-Media; 2008. 1017 p.
2. Avetisov E.S. Blizorukost'. Izd-e 2-e, pererab. i dop. [Myopia. 2nd edition, revised and enlarged]. Moscow: Meditsina; 1999. 288 p.
3. Avetisov S.E., Kashchenko T.P., Shamshinova A.M. Zritel'nye funktsii i ikh korrektsiya u detei [Visual Functions and their Correction in Children]. Moscow: Meditsina; 2005. 873 p.
4. Katsnel'son L.A. Reografiya glaza [Eye Rheography]. Moscow: Meditsina; 1977. 120 p.
5. 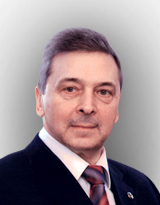 Lazarenko V.I. Funktsional'naya reografiya glaz [Functional Eye Rheography]. Krasnoyarsk: Rastr; 2000. 160 p.
6. Chibirene I.-O.K. Gemodinamika i strukturno-funktsional'nye izmeneniya sosudov glaza pri revmaticheskikh zabolevaniyakh. Avtoref. dis… dokt. med. nauk [Hemodynamics and Structural and Functional Changes of Vessels Eyes in Rheumatic Diseases. Author’s abstract]. Mosocw; 1984. 27 p.
7. Kozlov V.I. Rheography of different intensity for healthy and glaucomatous eyes. Vestnik oftal'mologii = Bulletin of ophthalmology. 1975;1:17–20. 8. Khadikova E.V. Application of the two-component analysis reooftalmogrammy to assess the functional state of the blood vessels of the eye. Vestnik oftal'mologii = Bulletin of ophthalmology. 2002;118(6):35–38. 9. Mironova E.M., Shilkin G.A., Yartseva N.S. Electrophysiological and reooftalmograficheskie studies of patients with primary open-angle glaucoma. Glaukoma = Glaucoma. 2004;2:15–17. 10. Poplavskaya I.A., Zavgorodnyaya N.G., Kolesnik E.A. Status intraocular blood flow in patients with neovascular glaucoma secondary to diabetes mellitus according rheoophthalmography computer. Oftal'mologicheskii zhurnal = Ophthalmological journal. 2006;2(3):116–118. 11. Kadantseva A.S. Kliniko-fiziologicheskie zakonomernosti i mekhanizmy formirovaniya tipologicheskikh osobennostei neirovaskulyarnykh reaktsii glaza. Avtoref. dis… dokt. med. nauk [Clinical and Physiological Principles and Mechanisms of Typological Features of Neurovascular Eye Reactions. Author’s abstract]. Moscow; 2007. 25 p.
12. Luzhnov P.V., Parashin V.B., Shamaev D.M., Shamkina L.A., Iomdina E.N., Markosyan G.A., Napylova O.A., Tarutta E.P. Features a variety of modeling environments in the eyes rheoophthalmography. Biomeditsinskaya radioelektronika = Biomedical electronics. 2013;10:35–39. 13. Luzhnov P.V., Parashin V.B., Shamaev D.M., Iomdina E.N., Markosyan G.A., Napylova O.A. Using the technique in tetrapolar rheoophthalmography to assess the blood supply of the eye. Biomeditsinskaya radioelektronika = Biomedical electronics. 2012;10:18–21. 14. Nesterov A.P. Vnutriglaznoe davlenie. Fiziologiya i patologiya [Physiology and Pathology]. Moscow: Nauka; 1974. 430 p.
15. Shershnev V.G. Klinicheskaya reografiya [Clinical Rheography]. Kiev: Zdorov´ya; 1977. 168 p.
16. Kiseleva T.N. Ultrasonic methods of research of blood flow in the diagnosis of ischemic lesions of the eye. Vestnik oftal'mologii = Bulletin of ophthalmology. 2004;4:3–5. 17. Nasnikova I.Yu., Kharlap S.I., Kruglova E.V. Prostranstvennaya ul'trazvukovaya diagnostika zabolevaniya glaza i orbity [Spatial Ultrasound Diagnosis of Eye and Orbit Diseases]. Moscow: Izd-vo RAMN; 2004. 176 p.
18. Iomdina E.N., Luzhnov P.V., Shamaev D.M., Tarutta E.P., Kiseleva T.N., Markosyan G.A., Ramazanova K.A., Napylova O.A., Kuryleva I.M., Shamkina L.A. Evaluation of transpalpebral rheoophthalmography as a new method of studying the blood supply to the eye for myopia. Rossiiskii oftal'mologicheskii zhurnal = Russian ophthalmological journal. 2014;7(4):20–24.